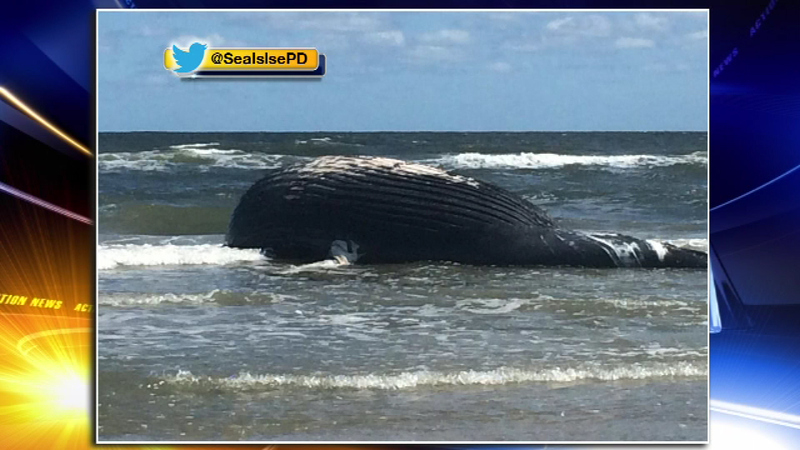 Officials believe a whale that washed ashore in Sea Isle City Friday afternoon died due to human interaction. 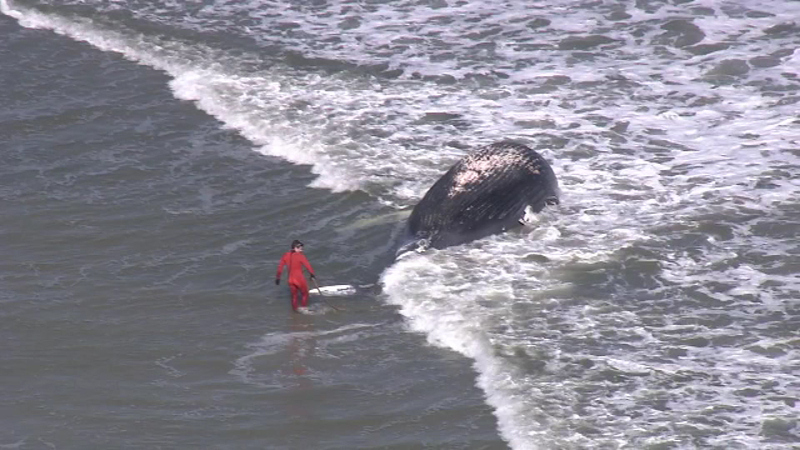 SEA ISLE CITY, N.J. (WPVI) -- Officials believe a whale that washed ashore in Sea Isle City Friday afternoon died due to human interaction. 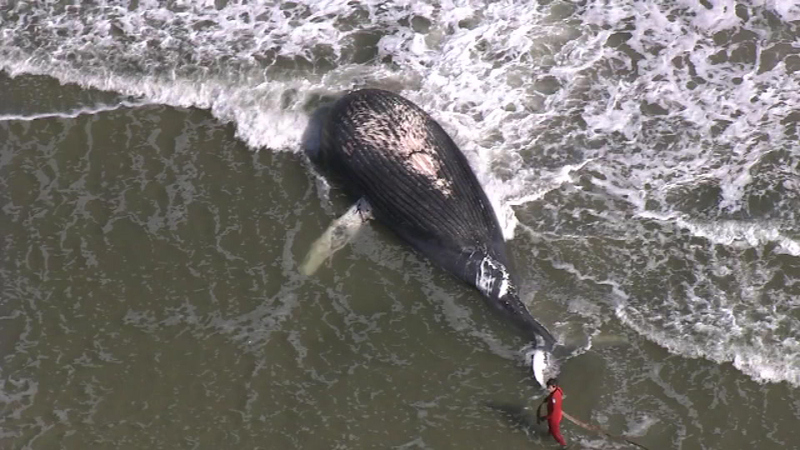 A necropsy was completed on Saturday and showed the approximately 33 foot whale was at some point entangled in a commercial fishing line due to the scaring on its body, according to the Marine Mammal Stranding Center in Brigantine. 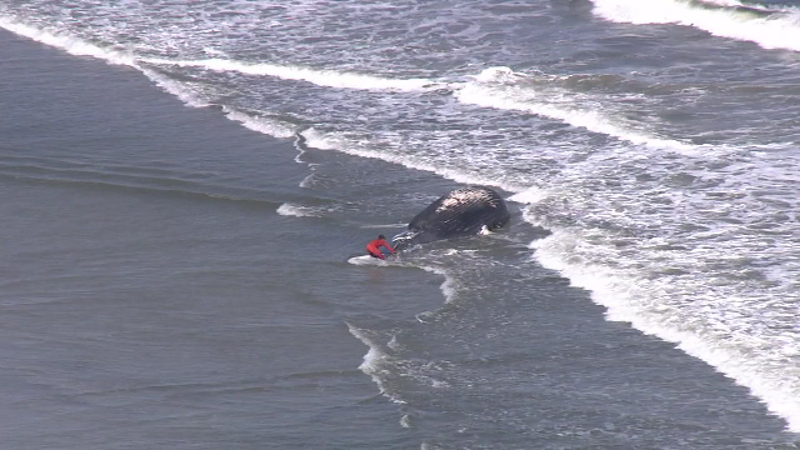 Bob Scholekopf of the MMSC said the whale had a small amount of food in its stomach and likely wasn't eating much due to that injury. 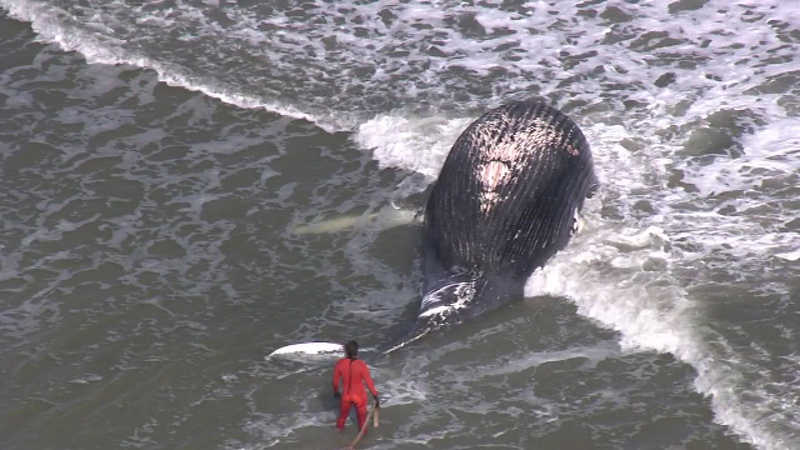 The 20 ton whale was very emaciated, which officials believe led to its death. 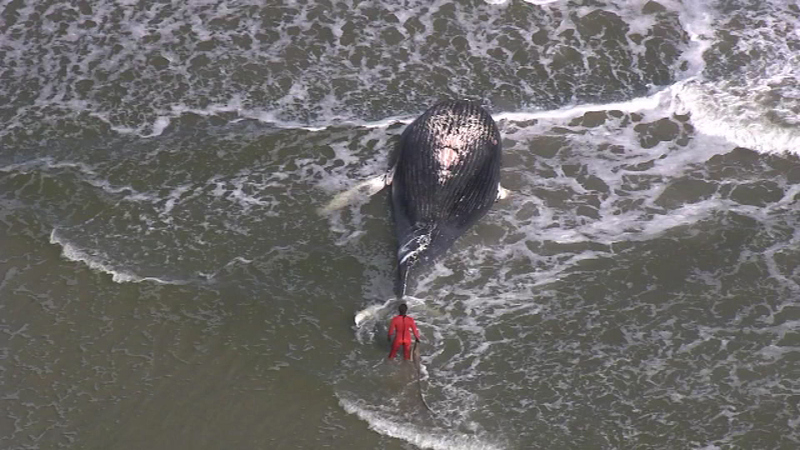 The whale also had been hit by a ship, but Scholekopf believes that happened after the whale had died. 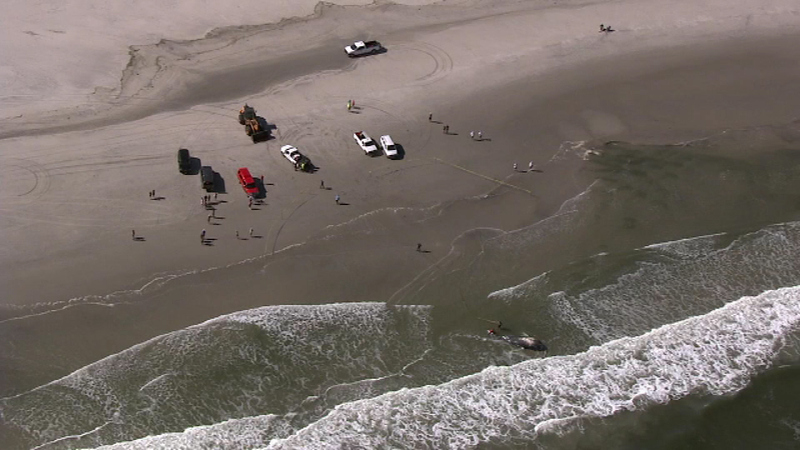 Officials say it's believed to have been in the water for several days before washing ashore near 20th Street in Sea Isle. After the necropsy, the whale was buried Saturday.